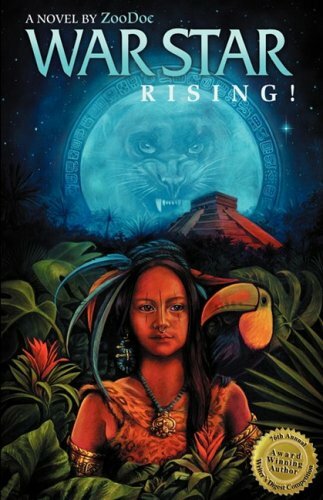 Due to a terminal illness, Chinikiha the shaman instructs a “brave young princess” named Toucan Moon to take a dangerous journey alone through the dark jungle in search of a mysterious cave of the Wise One, to discern the outcome of her sickness. The animals she encounters and what she must do to find that cave is captivating. What will she discover when she meets the Wise One? If she is to survive her illness, how will she use the remainder of her days? Can a young girl, in a male dominated society, possibly convince a powerful emperor to stop making wars, and bring an end to slavery and human suffering? And how could she fall in love through all the turmoil? Male and female readers aged 7 to 70 have enjoyed this enchanting tale of courageous feminine assertiveness, of advocacy for the underclass, and of young love. In 1993, a short story called Legend of Toucan Moon was originally written by the author to inspire his suicidal daughter to courageously go on with her life despite being HIV-positive. Awards: Bronze medal, 2009 Moonbeam Children’s Book Awards, category of Young Adults-Mature Issues. Honorable mention, 2007 and 2009, Writer’s Digest International Writing Competition, for the screenplay based on the novel. *Titles featured in the Author Showcase have not been reviewed by The Children’s Book Review, and reflect the thoughts of the author, illustrator, or publishing company.